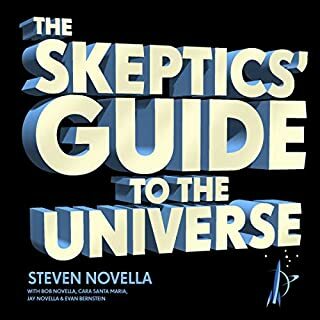 The Skeptics' Guide to the Universe is your guide through this maze of modern life. It covers essential critical thinking skills as well as giving insight into how your brain works and how to avoid common pitfalls in thinking. They discuss the difference between science and pseudoscience, how to recognise common science news tropes, how to discuss conspiracy theories with that crazy colleague of yours and how to apply all of this to everyday life. 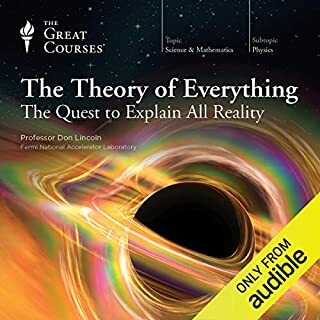 As fascinating as it is entertaining, this enthralling audiobook is your essential guide to seeing through the fake news and media manipulation in our increasingly confusing world. 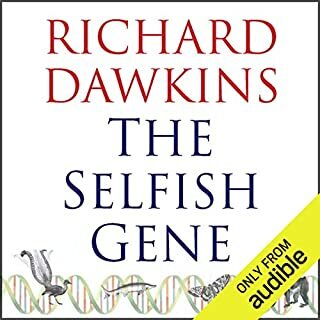 Richard Dawkins - author of The Selfish Gene, The Blind Watchmaker, and The God Delusion - is one of science's greatest communicators. This anthology of more than 40 pieces is a kaleidoscopic argument for the power and the glory of science. 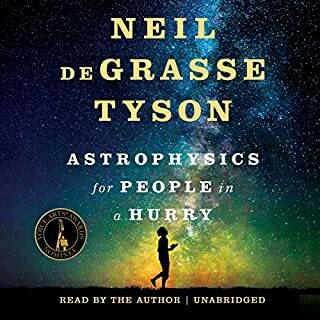 Breathtaking, brilliant and passionate, these essays, journalism, lectures and letters make an unanswerable case for the wonder of scientific discovery and its power to stir the imagination. 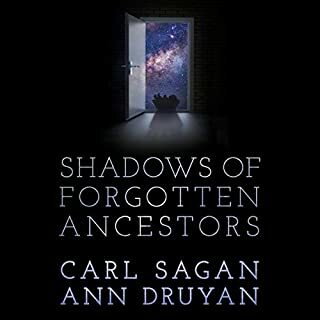 World renowned scientist Carl Sagan and acclaimed author Ann Druyan have written a Roots for the human species, a lucid and riveting account of how humans got to be the way we are. It shows with humor and drama that many of our key traits - self-awareness, technology, family ties, submission to authority, hatred for those a little different from ourselves, reason, and ethics - are rooted in the deep past, and illuminated by our kinship with other animals. Sparked by a provocative comment to BigThink.com last fall, and fueled by a highly controversial debate with Creation Museum curator Ken Ham, Bill Nye's campaign to confront the scientific shortcoming of creationism has exploded in just a few months into a national crusade. Narated by the man himself. 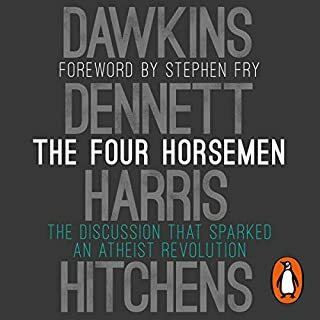 Known as the ‘four horsemen’ of New Atheism, these four big thinkers of the 21st century met only once. Their electrifying examination of ideas on this remarkable occasion was intense and wide-ranging. Everything that was said as they agreed and disagreed with one another, interrogated ideas and exchanged insights - about religion and atheism, science and sense - speaks with urgency to our present age. Winner of the British Book Awards, Author of the Year, 2007. Shortlisted for the British Book Awards, Book of the Year, 2007. Shortlisted for the Samuel Johnson Prize, 2007. 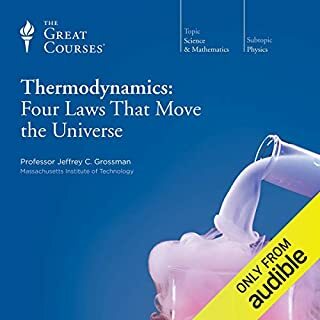 Winner of the Audiobook Download of the Year, 2007. 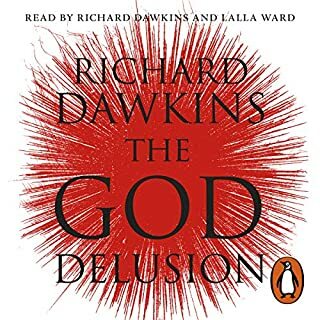 As the author of many classic works on science and philosophy, Richard Dawkins has always asserted the irrationality of belief in God and the grievous harm it has inflicted on society. He now focuses his fierce intellect exclusively on this subject, denouncing its faulty logic and the suffering it causes. We human beings share 98 percent of our genes with chimpanzees. 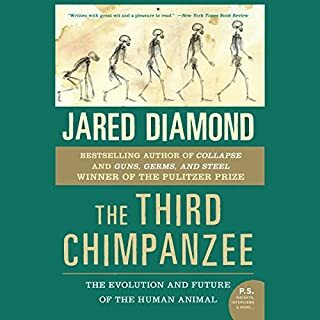 Yet humans are the dominant species on the planet - having founded civilizations and religions, developed intricate and diverse forms of communication, learned science, built cities, and created breathtaking works of art - while chimps remain animals concerned primarily with the basic necessities of survival. What is it about that two percent difference in DNA that has created such a divergence between evolutionary cousins? 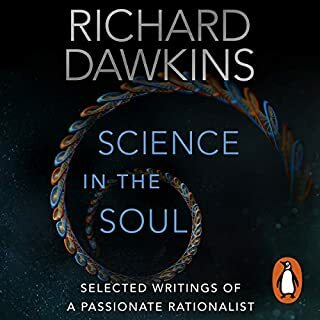 For all the thousands of books that have been written about religion, few until this one have attempted to examine it scientifically: to ask why - and how - it has shaped so many lives so strongly. Is religion a product of blind evolutionary instinct or rational choice? Is it truly the best way to live a moral life? 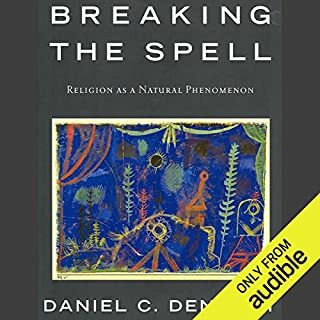 Ranging through biology, history, and psychology, Daniel C. Dennett charts religion’s evolution from “wild” folk belief to “domesticated” dogma. How can we make intelligent decisions about our increasingly technology-driven lives if we don''t understand the difference between the myths of pseudoscience and the testable hypotheses of science? Pulitzer Prize-winning author and distinguished astronomer Carl Sagan argues that scientific thinking is critical not only to the pursuit of truth but to the very well-being of our democratic institutions. 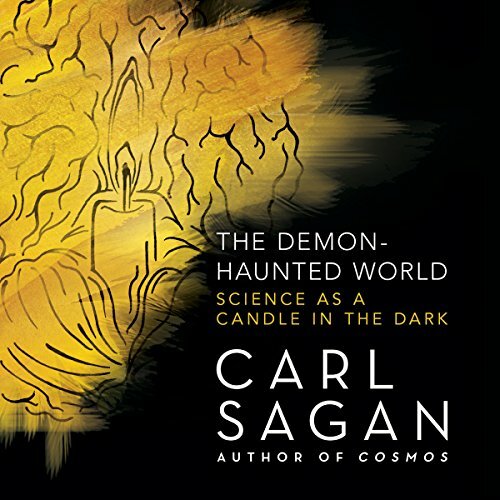 Casting a wide net through history and culture, Sagan examines and authoritatively debunks such celebrated fallacies of the past as witchcraft, faith healing, demons, and UFOs. 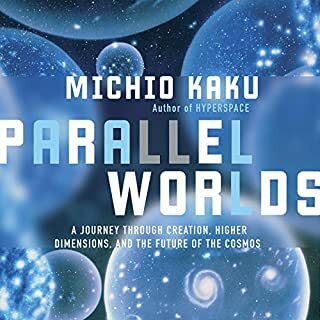 And yet, disturbingly, in today''s so-called information age, pseudoscience is burgeoning with stories of alien abduction, channeling past lives, and communal hallucinations commanding growing attention and respect. 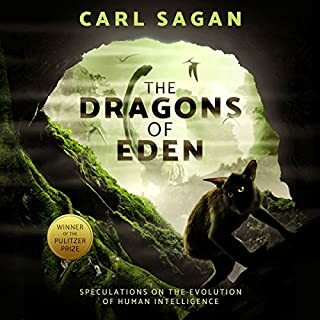 As Sagan demonstrates with lucid eloquence, the siren song of unreason is not just a cultural wrong turn but a dangerous plunge into darkness that threatens our most basic freedoms. Introductory music from the original score for Cosmos: A SpaceTime Odyssey composed by Alan Silvestri, used with permission from Cosmos Studios, Inc. and Chappers Music. All rights reserved. Special thanks to Fuzzy Planets, Inc.
©1996 Carl Sagan (P)2017 Brilliance Audio, all rights reserved. If this was the only book I’d read in school I’d undoubtedly be a better and happier person. If this was the ONLY book all kids read in school, the world we live in would be a better place. I should have known that Cary would be a fantastic reader. Great book and readers. 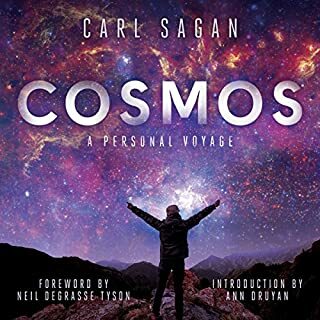 This was the first book to which I've listened from Carl Sagan and it is amazing! I highly recommend this book to anyone and everyone. Carl Sagan expounds at length on the virtues of skepticism and the scientific method and how it has brought the world out of extreme superstition and greatly elevated the overall status of humanity and implores humanity to maintain a strong dedication to education and learning of science and math in order to better humanity so that we don't fall back into the wretched ways of the past. The importance of rational skepticism. An amazing read, I wasn't sure what to expect coming in and found myself pleasantly surprised. although there is a rather large chunk of the book devoted to UFO'S the message of Sagan comes through very clear. And the narration brings energy to the book that could have just as easily become monotonous. If, 1000 years from now, this book is the only surviving record of human existence, I will not be content. I will be dead. However, if I were paradoxically still alive, I would be content. Simply wonderful! Carl's work still holds up 20 + years later. A must read for students of any age! 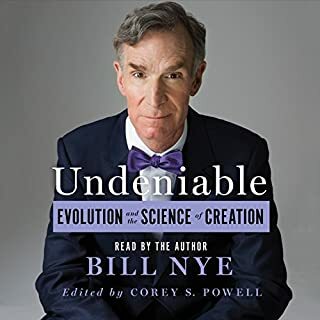 Written for everyone this audiobook covers principles of human decency and advancement in general terms easily accessible to the non-scientist. It's timeless - written long ago but so germane to life in 2017. Loved this one. I think this is perhaps his crowning achievement. The importance of sceptical thinking and detection of baloney is critical. have waited a long time for this to come out on audio. it didn't disappoint. Timeless. Some of the topics might seem dated, but the essence shall always be valid. Absolutely, one of my favorite books to date! Wow! 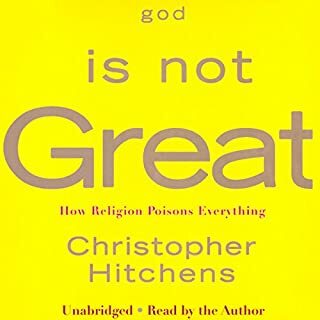 Such a revealing book, especially for someone like myself that went through a highly religious and intolerant phase in my life based off my beliefs and the ideologies of the religion I followed. 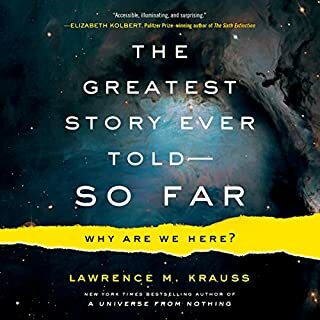 I recommend this book to anyone that is seeking the truth of the origins of humanity, and not in some fantastical way, but in a scientific way that can be and has been proved through modern discovery and time. What I love about this book is the way that Carl Sagan is able to demonstrate that we need that fine balance between openness and skepticism to discover truth. And being a skeptic on any scientific or religious matter is not a cause to rebuke or defame you, as some people would have. In the end, without science we would still be in the Dark Ages. Outstanding book from the great mind of the humble Carl Sagan. 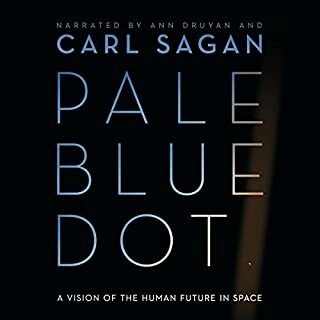 Excellent audio book of a great book from the much missed Carl Sagan. You must own this book. I highly recommend this beautiful book. The prose is outstanding as are the narrators. A few years ago I would have never thought that our times now are so full of anti science, I took progress for granted... This book beautifully describes how fragile our democratic and scientific institutions really are and how much we should cherish and protect, even fight for them! Utterly brilliant and timeless! Read it now! Every chapter deals with an area of human vulnerability and highlights the villans and heros who have advocated or fought against ignorance and stupidity. I thought the subject might be dated but it is more relevant now in 2018 than before. Sagan would not want to be compared to the likes of Nostradamus but his writing has an eerie sense of the doom many of us feel today. Have we gone past the tipping point or can we somehow find a candle in the dark! Mostly good. A bit dry at times, the narrator does not help this one bit in his monotony. The information is broadly given with a handful of specific mentions of events. There was this really weird bit where it almost felt like Sagan was advocating for not believing women when they've been raped, which not only was very out of place, made me feel supremely uncomfortable. It's also very America-centric, but I suppose that's to be expected. Fascinating. Logical. Broad in scope. Where does The Demon-Haunted World rank among all the audiobooks you’ve listened to so far? Brilliant book. The reader is disturbingly staccato. Far too long for me to listen to in a single bash. Carl Sagan at his best. Sagan has a wonderful knack of imploring you to recognise your own innate ability to think critically, enquire reasonably and how to skeptically winnow deep truths from deep nonsense. A brilliant insight into how Sagan's mind worked. Here was a person who thought deeply about every aspect of human life. He found ways to give perspective and spread compassion whilst remaining committed to the idea that knowledge should be available for everybody, not just a select few. The Demon-Haunted World applies just as much today as when it was written.